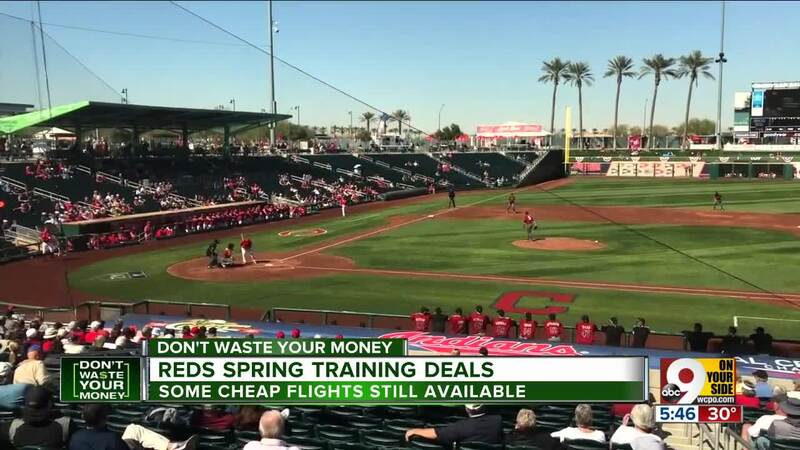 Consumer Reporter John Matarese looks at deals on trips to Reds Spring Training in Arizona. Tired of sliding in the snow? Tired of road salt covering everything? If so, the Arizona sunshine probably looks pretty darn good right now. We're just weeks away from Cincinnati Reds Spring Training in Goodyear, Arizona. That means baseball, palm trees, and warmth. Downtown Cincinnati worker Matt Birch is ready. "That would be so much better than here. I would love to go there right now," he said. Interested? You have two ways to get there: On your own, or with a package trip, through the Reds , or AAA/Provident travel. Provident, in Hyde Park Plaza, has been organizing spring training trips for 63 years. Herb Reisenfeld says their packages are a little over $2,000 a person for 7 days. While that may sound steep, he says they fly you there, bring you to the game every day, and take care of almost everything. "What's included is your air, hotel, transfers, quite a few of your mealls, breakfast every day, and some lunches where Reds players stop by," he said. Travel agents say to get the best value out of Spring Training, consider visiting other things around the Phoenix and Sedona areas. "That's an option if you want to go up to Sedona, Reisenfeld said. "Some people say I'm going to the Grand Canyon." Are you on a budget? You may want to check out Frontier Airlines. We found some $99 one way fares from Cincinnati to Phoenix left in March, but they're going fast (and don't foget to include the cost of a rental car). After all, when you're looking at gray skies and road salt covered cars, it's tough to say no to the beauty of Arizona, and that sweet sound of the crack of a baseball bat.